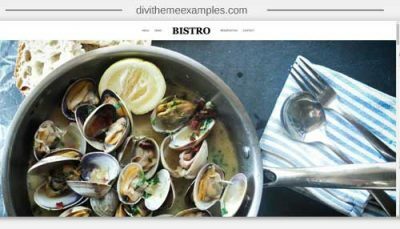 Another premium child theme for Divi created by Mark Hendriksen that comes with demos for general business, construction and hairdressers websites. 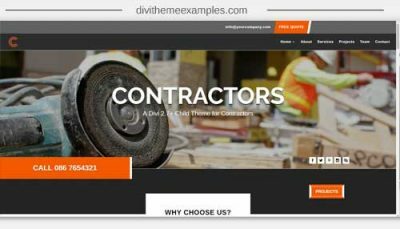 As with all of Marks child themes, the header and footer sections are customized beyond the default Divi offerings so you can add more details in as required using the Divi builder. 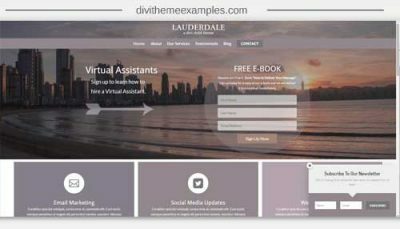 There is also a stick contact icon in the bottom right of each page that slides out a Divi contact form module when clicked. Mark also has a membership pricing option that gives you access to all his child themes for an annual fee.